Want to be a seamstress but are shocked by the high price of fabric? 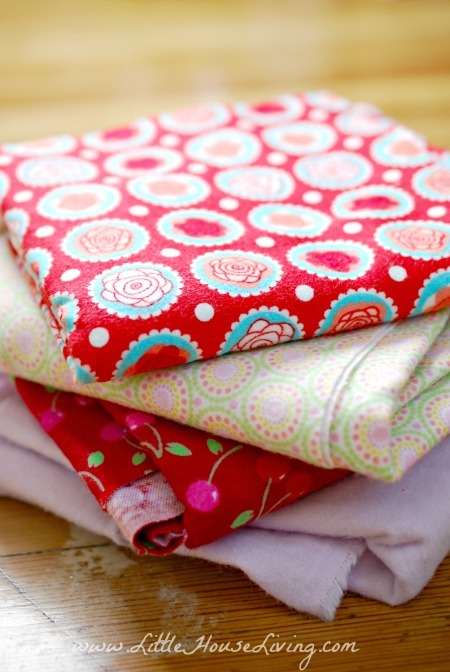 Here’s where to buy fabric so that you can make the most of your crafting budget. I’m not a big-time sewer but I do like to buy fabric occasionally for certain crafting projects and for miscellaneous mending needs. The trouble is that most of the time the fabric you can get at regular fabric stores is way too expensive to make it worth buying and making anything out of! Now I’m sure that many of you that are bigger sewers than I am and you have more tips than this so make sure to share them with the rest of us in the comments section as well. As far as price goes, I’ve found that your non-traditional fabric buying options are best, however, as far as selection goes you may need to stick with a regular fabric store and just rely on the coupons they provide. Here is a list of cheap places to buy fabric to check out. –If you are new to sewing, first check out my list of 7 Tools Every Beginning Seamstress Must Have! 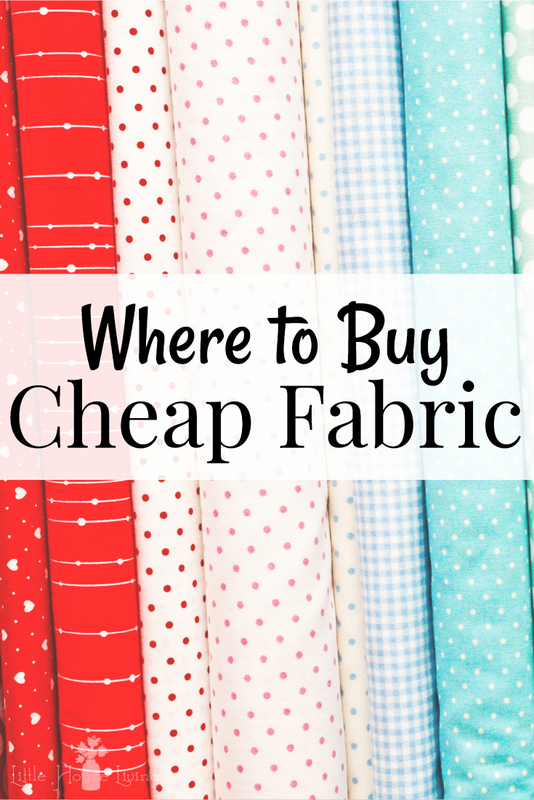 While this is not an exhaustive list of where to buy cheap fabric, these are some of my favorite places to look. Be sure and read through the comments from other readers for even more ideas and leave your own comments as well! This doesn’t happen all the time but occasionally I will be able to find fabric (mostly scrap) at garage sales. I’ve noticed that if a sale is going to have a good amount of fabric it is generally advertised in their newspaper ad. If you don’t see any ads that speak directly about fabric, look for garage sale ads advertising a “nick-nack” or miscellaneous sale or sometimes even craft items. Garage sales that are advertising children’s clothing and similar items are generally not the place to look for fabric. If you find a large amount of fabric that you want to buy, don’t forget to ask for a bulk price! This one is similar to garage sales above but one put on in a senior center. We have one of these sales yearly in my area at a large senior center and it usually has a huge table full of all kinds of fabric! 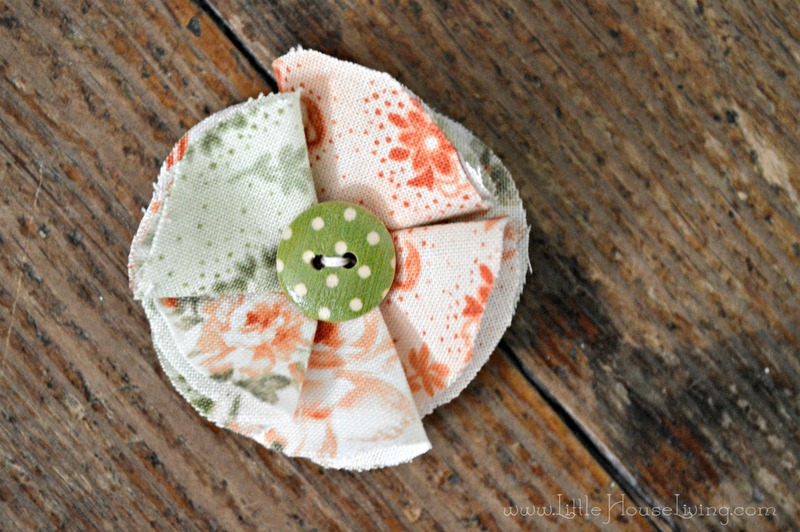 If you like to repurpose old fabric for projects this is also a great place to look for that. Many older clothing garments were made of a more quality fabric than you can find on clothing now and it works well for repurposing projects. Many of these senior center sales can be offered on a donations basis which means you might be able to find a great deal! This is usually a fairly reliable source of inexpensive fabric. All of the local thrift stores I can think of have a nice “crafting” section that usually has at least a dozen of bundles of fabric. These bundles are a little more expensive than the previous 2 options, but as I said, if you have a good local thrift store, you have a pretty good chance at getting fabric whereas rummage sales and senior center sales can be hit and miss. I’ve even found some fairly large amounts of fabric at thrift stores not just scrap pieces. Thrift stores (and garage sales) are also a great place to find old sheets which, if you think about it, is an awesome source of fabric for crafts! You get a large piece of fabric that is usually priced pretty low. I love making Rag Rugs out of old sheets. Wait…didn’t I just say that fabric stores were expensive? Well, they can be, but like in all stores, there are always ways to find a deal! Look for clearance racks of discontinued patterns. Some fabric stores also hold sales were you can find half price deals on the “regular” fabrics, however the best luck I’ve had at finding deals is shopping the clearance. Check online at the store you are going to first for coupons. Yes, even stores like Walmart and Hobby Lobby have good deals on fabric! Search around until you find the remnant bin and you can get deals on scrap fabrics. I’ve even found some remnants that are several yards long, enough to make a large project with! Also as I mentioned above, if you need a very specific type of fabric this is going to be your best option since they will have the largest selection. Hobby Lobby always has a weekly coupon (that can be used on up to 10 yards of a single fabric) that you can print and take with you to the store. I’m not much for buying fabric at Walmart for several reasons but I do like to get my notions like elastic and ribbon there since it’s a pretty good regular price. These are just a few of the places to buy fabric that I’ve regularly been able to find a deal at for my little projects! Since we don’t live very near any of these places I’ve also started ordering fabric online from stores like Fabric.com. They often have sales going and it’s a cheaper option than driving all the way to the store for what I need. What are some of the places that you buy cheap fabric from? What projects are you working on right now? This article on where to buy cheap fabric was originally published on Little House Living in October 2012. It has been updated as of January 2019. I like to look at the plus sized dresses at thrift stores too. Jumpers especially are a great source of fabric for smaller projects. Just be sure the dress doesn’t have too many seams, which make the overall pieces of fabric smaller. Please do not buy up the plus sized clothes at the thrift store just to cut up. There is a documented and very real issue of shortages of plus size clothing at thrift stores; poor women tend to be plus size, who tend to not have a lot of spare garments to surrender to thrift stores, and who rely on thrift stores for basic clothes security, which are short on fitting clothes for the aforementioned reason, and it’s a recurring cycle. Upcycling is really cool and noble and you totally should do it, but please leave the plus size clothes for the plus size women if you don’t need them. I can add to your list! I sew for a living and am a bargain hunter, so I’ve been learning the ins and outs of this. Estate sales can be a great place to find fabric and notions, especially vintage stuff. Not many people are in the market for that kind of stuff and they usually price the stuff very cheaply to get rid of it. I’ve had some luck at church rummage sales as well. I get the sense that a lot of it is leftovers from estate sales, hence – vintage fabric and notions, and even some great books and pamphlets for projects. Also, if you don’t need a lot of fabric, check out the remnant bins at fabric stores. These are the ends of bolts that have less than a yard left on them, and they are usually marked down by at least 50%. They’re especially great for pieces of polar fleece and quilting cottons, and even piece of interfacing. I’m a homeschooling momma blogger working her way through life on one blog and Little House on the Prairie school curriculum on another. Was fun to be guided to your blog today! I rarely buy fabric at a fabric store. It was originally because I couldn’t afford to, now I realize I rarely have to, unless I need a very specific piece for a project. I use thrift stores for buttons, as well. When they clearance clothes out for really cheap, I look for clothes that have buttons I like. Cheaper to spend $.99 for a shirt full than $4 for a card with 4. This was a fun blog to find this morning! What a great find! And a big warm welcome! Try substituting sheets, either bought on clearence or at a thrift store. You get a ton of fabric (Especially if you are looking for Jersey Knit) for a much lower price! Oh I’ve done this before and forgot to include it in the list, great thinking! This is great! I have been using sheets for a long time and irks very well. Curtains and shower curtains and so much more. Also I have used table clothes for a lot of things. I remember that too They used to ask for 3 rapings and they would send ribbons and lace That was Wright Co. I know this was a few years back, but just in case you see this or someone else does who figured it out, what was autocorrected to “rapings”? I’ve tried to figure it out but can’t, and I’m interested to know what they asked for. Thanks! wrappings from the products that you had already bought…I guess they could figure out what you had purchased? I remember doing that, too! I would get so excited when their package came. I would get all kinds of things from them— Rick-rack, bias tape, buttons, zippers, etc. I sure wish they still did it! I live near Los Angeles. Downtown, there is a ‘fabric district’. If you live near, or are visiting a large city, ask around to find out where the fabric district is. I sew all my kids’ clothes and am always on the look out for great fabric. One place I have found that you can find some really cute fabric is online at Connecting Threads – their clearance section often has fabric for as little as $1.95/yd. It is geared towards quilters, but I have found some very lovely fabric that was neither cheap looking nor cheaply made. Be cautious of some of the big bulk stores because they have a tendency to sell cheaply made fabric – which if you have to replace often or redo, can be more costly. I also shop around at Fabric.com where they will occasionally have nice clearance and then I stock up to take advantage of their free shipping. Ebay is another good place to hunt for speciality fabric that can be costly elsewhere, just watch out for high shipping prices! Sometimes when you live so far from town, it’s more economical to do your shopping online, like us; that being said, nothing beats spending some quiet time strolling through a large fabric store! Thank you for letting us know about Connecting Threads. Just checked it out and there is FREE shipping on orders of $50 or more. And their clearance section is full of stuff. Bookmarked this page because I’m sure I’ll be going there often. I love to sew. I love to get wool men’s suits at the thrift store. I have taken those apart and made beautiful pillows, quilts, and even other clothes from the suits. I brought a set of new curtains in a thrift store….It has about 20 yards of fabric. (these are commercial drapes from an office building) I will use the backing of the curtains for a quilt backing. For the sum of $8.00 I got almost 40 yards of fabric. WOWOWOWOWOWOWOWOW! Way to go, lady!! Oh, and don’t forget some online places. Sometimes folks get rid of fabric lots on Ebay, you’ll have to take what comes with it. I like Gehmans Country Fabrics, online store, very good prices and the Tropical Breeze fabric is literally a breeze to sew! Find the wholesale distributers in your town, they usually have “open to the Public” times and you get to buy at the wholesale price. Bag Sales at Church Rummage Sales…. in my town consistently the best place for extremely inexpensive fabric. love these tips… more more please !!! Awesome tips, thank you! I’m just learning how to sew, and hate to waste money on expensive fabric. I frequent the remnant bins at Joann’s Fabrics…they are always 50%, but that is not a huge deal since Joann’s often has 40% or even 50% coupons. However, it’s 50% off the current price so if the fabric is on sale that week, you get 50% off the sale price and that’s where I find the deals. And a couple of weekends a year, they have 75% off remnants! I like to hit up the remnant bins at JoAnn, but I try to know what fabrics are on sale – the sale carries over to remnants! I just got about 3/4 of a yard of minky dot fabric that was about $11 regular price, $5.40 on sale, then 50% off because it was a remnant! I also love stocking up when they have 50% off red tag fabric. Hey in my neck of the country the yard & garage sales are not “little old lady” stuff. Nor “nick nack ” crap. ! Thrift stores are great for fabric from comforters, clothing, craft stuff also to make quilts, blankets and wool for beautiful rugs. I’ll put in a plug for auctions here, too! Fabric is often included in “other items too numerous to mention”, rather than actually listed, but a listing for a sewing machine means there is likely fabric to go with. Auctions are also the BEST source for vintage linens, which can often be repurposed beautifully. At one auction, I spent $6 (yes, six dollars) and brought home a perfectly working sewing machine, in good shape, including cabinet and chair, a bunch of thread, both sewing machine thread and serger cones, some trims and elastic, and about 3 banana boxes worth of fabric, most of it quite nice stuff. Definitely, all of my daughter’s summer dresses came out of that bunch of fabric that year. Another time, I got two huge boxes of cotton knits for $20…but that was a very odd auction. One more auction possibility: last winter, I bought an auction box of linens because there were a couple of good wool blankets in the box, and the whole box was $5. When I got home, it turned out that there was a bunch of vintage linens and assorted tablecloths under the blankets, including a pilebof those round tablecloths that it used to be in style to have hanging all the way down to the floor, hiding a small round endtable sized table. Well, my 6 year-old was asking for “Laura and Mary” dresses and pinafores, to wear as summer playclothes. Those already-ruffled tablecloths made up into very nice little girl pinafores! Small town thrift store prices are much better than the bigger towns and cities. Also, don’t forget about sheets! Lots of fabric there and often times we find new or nearly-new sheets at the thrift stores. Our local thrift store sells them for a dollar each. That’s one dollar for a whole dress 🙂 or a few aprons. OHGOSH!!! I am kicking myself now since I just got rid of the majority of the stuff but – thank you, thank you for the idea of using the old polyester knits for a weed block layer! I now have a use for any more that finds it’s way to my house! I go to Goodwill on quarter day and buy dress shirts for $.25 each. Makes shopping take less time. A real score for me is a XLT men’s shirt with long sleeves! 😉 I use cotton and flannel bed sheets for quilt backs a lot if the weave is not too tight. Sometimes Bed, Bath and Beyond will have bedding on clearance and I just get picky so I don’t overdo it. Use the bottom (fitted) sheet for piecing, and the top (flat) sheet for backs or clothes. I usually end up keeping pillowcases as they are; great for giving and storing quilts in. I have had problems with using sheets for quilt back, because the weave is so tight. Flannel might work better. Thanks for the idea. Hi I live in Wales UK,sewing is going out of fashion over here,and it is getting more difficult to find shops who sell fabric.When you do manage to find someone selling fabric it is so expensive,I have even tried on eBay but they are asking £13-£33 per mt,way out of my price range. Been looking in boot sales and church fairs ,but people know its worth quite a bit of money and they charge for it. No wonder sewing is going out of fashion, its become an expensive hobby.Sorry for going on like this but it gets very frustrating. I know exactly what you mean! Have you checked online fabric stores? I tend to find some good deals there but the ones I’ve checked are all US based sites. 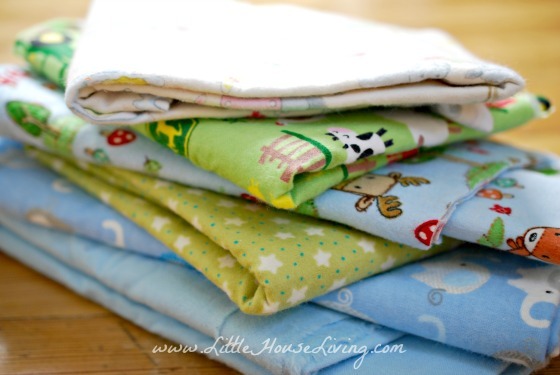 There are many, many sites on Facebook for fabric……throw out words like quilting, sewing, fabric, etc. and you will be amazed at what you find at reasonable prices all mailed to your door using PayPal. I know fabric is less expensive here in the U.S., but it’s gotten way too expensive, and I feel the same way as you do about sewing. I used to sew my own clothes when I was younger, but it’s not worth it now. It’s a shame. I used to work at a fabric store and got some good deals on fabric. I then went to a new Walmart and helped set up the fabric and craft area. I got a lot of good deals on things there. My husband threatens to have a fabric and remnant sale all the time. One good thing about it he now helps me on making quilts and does a good job at it. He bought me a longarm quilting machine. I’ve also got good deals at yard sales. The Wal Mart where I shop just got in a bunch of Waverly fabric at a very good price, cheaper than Joann’s that is across the street. I picked up a few pieces, but wish I could get more. You have to be there when they get it in as it will disappear as the word gets out. I make aprons to sell on Etsy and at our local farmer’s market. I do well because I make all kinds of aprons for adults and children. All though it has been said to go to thrift shops… not only can you find just fabric but big dresses, shirts, pants, coats. I once found a long denim coat. I couldn’t decide to wear it or use it for patches on jeans… so I wore it until I needed it for patching. The backs of old jeans are good for patching also. I also save the pockets and zippers. I will use them someday. I still want to make a quilt out of back pockets of jeans someday. JoAnn Fabrics remant bin has some really good deals on fabric. The pieces in the remant bin are always half and if the fabric bolts they came from are on sale then its half price off the sale price. Unfortunately the remants are no more than a yard but you can sometimes you can find several pieces of the fabric. Loved all these tips! I am a committed Joann fabrics shopper, but I’ll definitely have to try these other tips. If you do go to Joann’s definitely look in the remnants bin, I found some really amazing deals on Christmas theme fabric the beginning of December. Also, don’t forget to peruse the red tag section at the very back of the store. Sometimes the bolts are a little unorganized but they have all sorts of treasures. I found Halloween and July 4th themed fabric for $2 a yard. It was red tagged as $4, but all red tag was 50% off. Also, Joann’s does tons of coupons (a percentage off a certain item). Then if items are on sale you could still use a 20% off a total purchase coupon if they have them. And if you are a teacher or student you always get 10% off. I love deals! I remember my mother would take buttons off of all kind of shirts that was old. Reused them for other shirt or dress and skirts that she use to make by her self by had. My favorite place is the thrift store…especially sheets. Thank you for all your inspiring ideas! I want to know from where or which website I can buy quilting fabric from ?? I love looking for quilting fabric on Craftsy.com. They have really nice fabric! Try Marshalls Dry Goods located in Batesville, Arkansas. They are a manufacturing company for fabrics – all kinds and types of fabrics and also for quilt batting. Online, they have very inexpensive pricing. I have gone to the store in person and bought quite a bit of quilting fabric priced around $3.00 – $4.00 a yard. They also have a clearance section for fabrics that are going out of stock and they sell off what they have left over. Yes! All good ideas! I always like to look at cheap clothes. They provide a lot of fabric, and prom dresses at a thrift store are a really good choice. 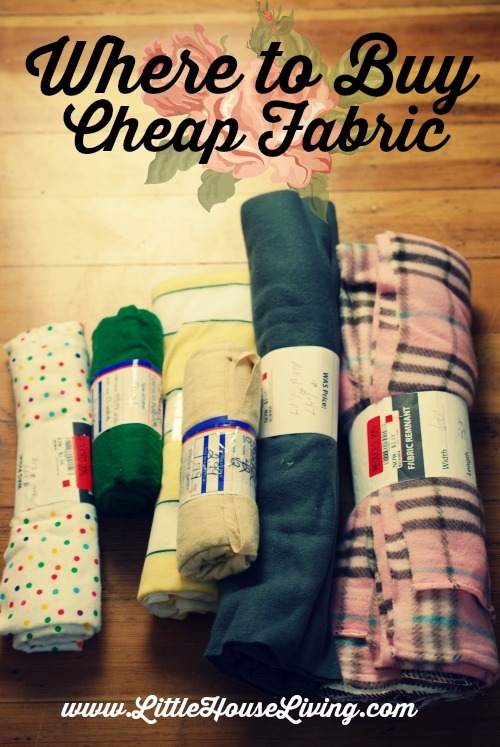 They provide TONS of gorgeous fabric for REALLY cheap! Merissa, “My what a wonderful thing you share with others”, your time away from your family and your knowledge which will leave a lasting impression on all the young ladies either beginners in sewing or young mothers. I can remember my Mom teaching myself and my little sister to sew…my sister is a master quilter/sewer. Myself, a tom-boy always out riding my horse and enjoying the outdoor life. I like to sew and really am into quilting. A beginner as I have always worked away from home. To this date, so many fond memories of my very favorite teachers in school was my Home Economics teacher and her husband was my sixth grade home room teacher. With my parents and my favorite teachers strong leadership of showing love, kindness, their knowledge, respect of others and belief in God has remained within all my life. I too, shared this with my son and with all whom I know. So, go forward young one and know that your sharing will always be remembered by someone’s. I found a beautiful 100% cotton name-brand duvet cover from Savers (a thrift store) for a great price. It’s twice the size of a regular sheet; I’ll be putting that in quilts for a while to come, and perhaps using it as a backing. I’ve also found quilting fabric there for 50 cents or a buck a yard, and recently found yards and yards of Jumbo ric-rac that I’ll use in a quilt at some point. Also, let the world know you’re looking for fabric, and what types. People looking to downsize may shower it upon you! I went to an estate sale that had a large bedroom FULL of fabric, zippers, patterns, buttons etc. There were several of us that were in heaven that day. We have a thrift store near by that has a bag sale once a month. As much clothing as you can fit in a shopping bag for $5. I stock up buying large full skirts and dresses. I even buy clothes that can be restyled. I made several outfits for my daughter when she was in high school. I used old 60’s patterns and retro fabric from clothing to make her dresses that her friends coveted. 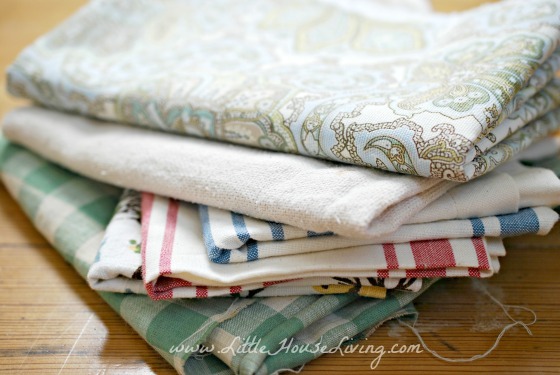 Don’t forget about table cloths especially after the holidays. I buy the biggest size to use for my project at a thrift store. This list has some great places to buy fabric but none of them are very specific. One of the places I have found myself going to very often is stash builder box. Almost every time I am on the computer I realize that I am on their site looking at fabrics. I love finding new fabrics for my projects and this has some of the best I have ever seen. One of my favorite things about this website is that they send 3 yards of fabric to my doorstep every month. This is my favorite fabric website and I suggest everyone go check this out and add it to their list of places to buy fabric. Thanks for the suggestions. Brand new to sewing and was overwhelmed with fabric costs, especially since I plan to make make items for a charity. Found our Goodwill store today and was almost skipping walking out the door! was so light weight. As I am much older ad suffer with back aches. I make small dolls and sell them. I find most of the patterns online. I used to sew by hand now I can see straight with the machine, I haven’t graduated to putting on a zipper, I guess because I have so much elastic. I also was given craft supplies by a couple of friends who moved to other states. As the word got out to my family and friends that I wanted to learn to sew, some family, friends and neighbors gave me either clothes that didn’t fit them or scrap pieces of fabric. I have repurposed many items to usable things. I like cotton house dresses and I managed to make a few. I also altered several skirts for myself and others for giving to the needy. I even made three dog beds so my little dog can hang out with me in whichever room I am in. I love to learn crafts to make things rather than buy them, such as soap. I have felt better with homemade soaps and my dry skin is not bothering me these days. I made a gift for a woman repurposing a butter cookie tin. I had blue enamel paint, covered the cookies illustration all around. Then on top I painted some outline with blue. Then painted red and orange Flowers with some sage green leaves. I then use household cement to glue on flat back ornaments, like buttons, ribbon flowers and a plastic cameo. Inside I put the sewing notions I had been purchasing little by little…. Small scissors, tape measure, small fake tomato with straight pins, a few safety pins a small pack of assorted threads and a pack of easy thread on needles. My friend can’t see too well but she does things too. She was so happy about her gift. In the Austin Tx. area, there is a store called Austin Creative Reuse that takes in craft and fabric and other assorted reusable items with the mission to keep reusable items out of the landfills. They sell rolls of fabric for $2/yard. Another place to keep an eye out for cheap fabric is quilt shows.. Sometimes local quilt guilds will have a country store for members to sell their unwanted fabric, books, trims, etc., to the public. Just beginning to machine sew again, after a 40 year break; homeschooling, etc. I really need these tips on how to find inexpensive fabric. I have found that buying fabric around Sept 20th is smart. That is when a lot of the previous Summer’s fabric is being discounted to $1.99 a yard at Fabric Mart. I went there in person, as it is in PA. However, take heart!, they sell online. I am going to check if they sell Fall/Winter fabric on clearance around the beginning to end of April. Blessing for all that you do to encourage us/me! I met a lady in a thrift store who was looking for pretty printed bedsheets. She made kids’ quilts from them. I buy clothing, such as fleece and leaather items, to cut up for projects. I had to use Edge to access your site. Google said it had d a bad gateway. I know Edge has a problem and Google censors which means it should be like a utility. Thanks for this discussion am a quilter. Be well. For scraps or smaller projects definitely the thrift stores, plus Walmart sells large squares that are great for pillows, etc. I was shocked the first time I visited JoAnn’s for fabric and saw things as much as $18 a yard! Luckily I hunted around and managed to find some for $4.99 a yard and on sale for 50% off, but it took a lot of looking and the pattern’s weren’t that great. I think Walmart is a good place to go if you need yardage for like a dress or something. You can find stuff for $2 a yard and my local Walmart at least has a good selection of patterns. Otherwise you’ll need to relay on that 50% off coupon from the craft stores. I won’t spend more on fabric that it would cost me to buy a ready made dress! Please share your dyo maxi skirt!! I love checking out the remnant bins at Hobby Lobby! Need to start looking at more yard sales. Great tips! I just love to sew and also love to hunt for bargains. At my favorite thrift store I have found great sources for larger pieces of fabric. I look through the sections with shower curtains and regular curtains, the collections of long, gathered skirts, the long dresses, especially in extra large sizes, and long dresses made of linen. 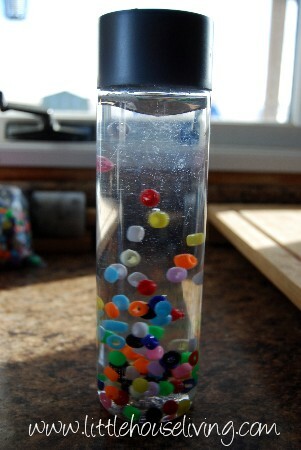 I also like to make long necklaces with beads or pendants at the bottom. For these, I have bought real leather jackets or skirts so that I can cut my own long leather strands for the necklaces. I sew my own summer dresses and tops when I find beautiful Hawaiian print men’s silk shirts in size extra large. Have fun hunting for treasures! I live in a remote area and do most of my fabric shopping online. If you watch descriptions carefully and are familiar with the high quality manufacturers, ebay can be an excellent source. Also marshalldrygoods.com has excellent prices and good quality. Online stores are the better option to buy fabric. There you can get lots of collections. I found Felt fabric is typically made with wool but synthetic felt using synthetic fibers is also available these days. Fabric Warehouse is a store where you can get all types of fabric collections at a reasonable price. I purchase my fabric online. I get name brand fabrics for $5 shipping always and also under $4.99 a yard. The service is fast and it is packaged neatly. http://www.quiltedtwins.com They are a great place to purchase larger amounts from they have wide backings like 100 of them for $8.49 a yard. I want to humbly admit that fabric has been my downfall in frugal living. I have not always bought the cheapest. Sometimes, I wanted sturdy denim or a more expensive color or print for a specific project. I just bought a new all purpose sewing machine after twenty years of homeschooling. I am just enjoying the thrill of sewing again. Loving the creativity! I’m lucky enough to live in a big city which is socially conscious, Vancouver, BC. We have a non-profit store where clothing designers and others donate excess fabric. You can get really high end fabrics really inexpensively and they even have a room with free fabrics, usually in smaller pieces, less than a yard, of less expensive types of fabric like cottons. In Vancouver it is called Our Social Fabric. I love this article and the comments! I’m a fabric junkie and am always looking for good fabric. But here’s the thing – be so careful about buying poor quality/cheap fabric. Know your fabrics and know your craft projects. Sometimes it doesn’t matter if the fabric is cheap but sometimes it does. My very first quilt that I ever made was a large project and I labored over it with love and determination. The fabric was pretty but it was a low quality brand from JoAnn’s. After a couple of washings, it was destroyed. All that work, only to see it disintegrate!! Not to rain on anyone’s parade, but be careful. I also made fancy aprons from not-so-inexpensive quilting fabric and that, too, was a mistake. Apparently I am really hard on my aprons! Shredded after 6 weeks of use or so, and that was the good quality quilting fabric. Duck cloth is better for aprons but if you want to do anything with ruffles or a style beyond the standard barbecue style, then you need cotton. There are heavier weights of cotton that can drape nicely, but I’ve had a hard time finding it since most fabric stores sell quilting cotton, which is lighter weight. When using a sheet as a quilt back, use only 100% cotton sheets with a lot of wear still left in it. If you use polyester blends, which is what most sheets are made of, it may be experienced as “hot” by the sleeper. It also doesn’t wash up the same as 100% cotton quilting fabric, which is presumably what you are using for your pieced top, so you can get puckering. I watch the sales at a local fabric store that is a wholesale warehouse type store and can get quality fabrics for less than $7 (which I know is not exactly a terrific bargain!) but sometimes I can get yardage of name brand fabrics for around $3/yard. Ebay, thrift stores, 100% cotton sheets and duck cloth shower curtains at drastically reduced prices in outlet stores like TJ Maxx, garage sales, and sometimes sewing machine repair shops will carry fabric selections that they have gained from estate sales or business closeouts. Also tell all your friends that you are “open to receive” fabrics, because you never know when someone’s grandma left a stash that no one knows what to do with! I’m hoping to identify a good online fabric store and see a couple listed here! My family’s has recently undergone a myriad of hardships and it has come to the point that I am needing to learn to make our clothes. I’ve always sewn(simple things mostly: pillow cases, throw pillows, non-quilted throws, and a lot of cross stitching) but I’ve never made clothing before. The biggest problem isn’t that with our hardship I can’t exactly afford the price of buying fabric. We all need new clothes pretty badly and ive managed to recycle some of Mine And my husbands clothes for the kids(mostly dress clothes). But the thrift stores in my area rarely if ever have sheets or fabric. Some don’t have them at all. It’s a struggle. What’s more is patterns. I have been looking all over for patterns but everything free is printable. That’s all fine and dandy but if we can’t afford fabric it should go without saying that printer ink Is off the list too. And printing at the local library isn’t at all cheap, not cheap enough to be printing page after page with just a few lines on it which I’d have to piece together later. What is a person to do in a situation like this. I realize it’s not the usual kind. But it’s real. Could you ask around and see if anyone has any sheets or fabric that they are getting ready to toss? You could try asking friends or family first and then could also post on Facebook or Craigslist to see if you can find anyone. And as for patterns….you could try sewing without them by making your own patterns out of clothing that you already have. Read my post here —> https://www.littlehouseliving.com/make-your-own-skirt-pattern.html for ideas on how I do this.